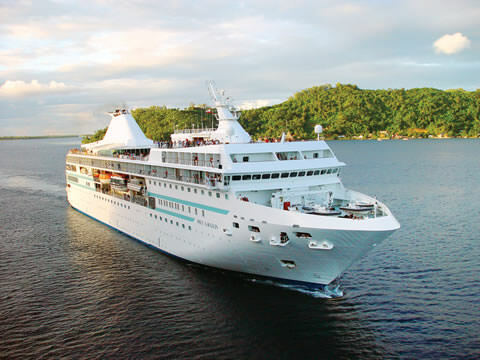 The m/s Paul Gauguin was designed specifically to sail the shallow seas of Tahiti and French Polynesia. The m/s Paul Gauguin offers an informal but luxurious setting suited to the pampered adventurer with discerning tastes and high expectations for service, dining and comfort. A crew of 217 makes sure guests are well taken care of and the intimacy means waiters remember your favorite drinks and your cabin steward/stewardess seems to intuitively know how many pillows you like or how you prefer your shoes lined up. 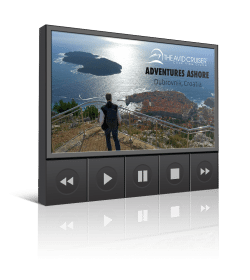 The ship boasts a crew-to-guest ratio of 1 to 1.5 plus one of the highest space-to-guest ratios in the North American cruise market. 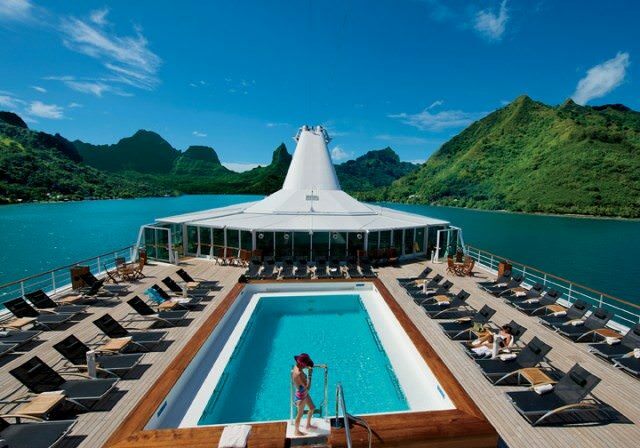 Click for deck plans and deals on Paul Gauguin. 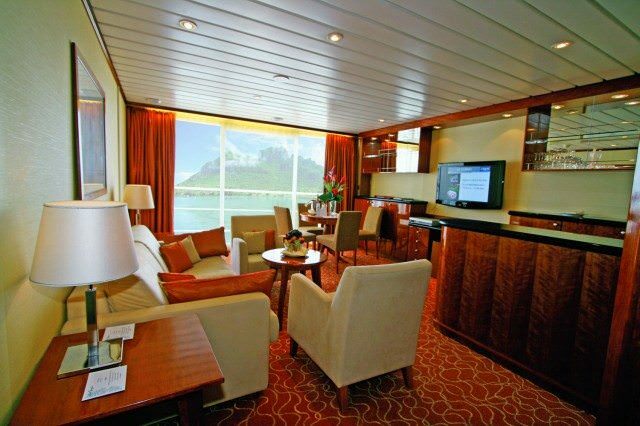 Three-quarters of the ship’s spacious suites and staterooms have private balconies, with Category B suites and higher enjoying butler service as well as an iPod docking station. Butlers are on hand to help guests unpack on arrival, arrange for pressing clothing, organize private cocktail parties and make spa or restaurant reservations. Category A Veranda Suites are 300 square feet of luxury with a 58 square foot balcony, while a handful of larger suites include the 534- to 588-square-foot owner’s suites with balconies. Outside cabins are a roomy about 200 to 250 square feet. All accommodations have queen-size beds (a few have twin-bed configuration), bathroom with full –size bathtub and shower, bathrobes, slippers, hair dryer, TV, CD/DVD player, and stocked mini-fridge. Two elegant restaurants and one pool-side grill, all with open-seating dining, include L’Etoile for fine French cuisine with a Polynesian touch at dinnertime. The indoor/outdoor La Veranda is open for breakfast and lunch, and evenings for elegant dining when its transformed into a chic French bistro, while Le Grill offers a breakfast and lunch buffet and evenings, grilled specialties with a choice of indoor or outdoor seating. Aside from a 24-hour room service menu, you can also order from the main restaurant menu during normal dining hours and enjoy dinner in your suite. After an exhilarating day outside, unwind in the spa or fitness center and before or after dinner, relax in one of the ship’s bars or lounges. Entertainment features both traditional Polynesia song, dance and musical performances as well as classic French ones, for instance, a chanteuse singing the Parisian blues. 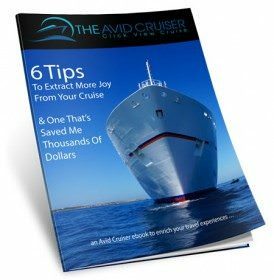 Want Help With Your Paul Gauguin Cruise?